One of the things we’ve been struggling with is getting more fat whilst on a Carnivore Diet. This is because most of the meat sold these days is lean with most of that good fat cut away. You only have to look at those pork or lamb cuts to see how bad it has become. The more fat that is cut away and the leaner the meat, the more expensive it is. Go figure! Now that doesn’t apply to meat like Kobe or Wagyu beef for instance where people pay premium prices for marbled steak. It usually just applies to the regular meat you get at your local butcher or supermarket chain store. They have been trained to cut as much fat off as possible since we’ve all been led to believe that all that animal fat is going to kill us. Most people don’t want to pay extra for stuff that they are going to cut off as soon as they get home. So finding fatty meat cuts can be difficult. We had to really search around to find good sources and even then we had to add additional fat sources which I will go through further on. What we realized early on is that grain fed beef generally contains more fat than grass fed. That expensive Wagyu beef will have been from grain fed cattle and will have lots of marbling. 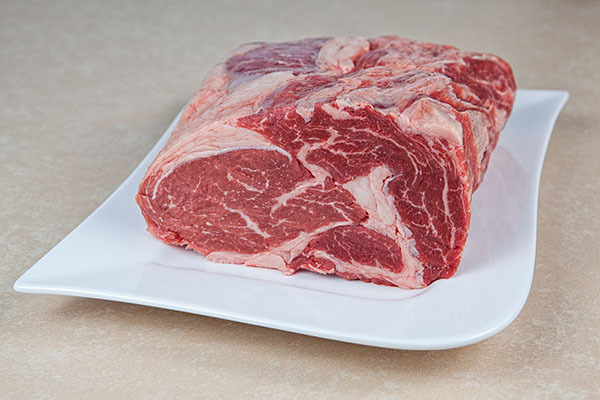 If you take a look at some grass-fed beef on the other hand, it usually has very little marbling. Notice the beautiful marbling in this piece of grain-fed beef. We prefer grass-fed because of the health benefits but also we want to do our best to ensure that the animals have a decent life and that usually (but not always) means grass fed. We also try to source our meat from a reputable farmer where the livestock is ethically raised. However, that may not always be the case. We have and still do buy meat where we have no idea where it comes from. Not ideal, but we can only do what we can do. 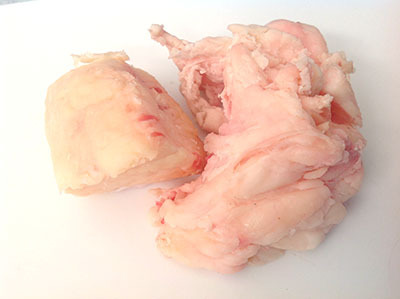 Beef suet is a hard white fat from around the kidneys of cattle and it is something the British use (at least traditionally) for making things like puddings and pastries. In many countries, your butcher may look at you sideways if you ask for suet but if you tell them you want the fat from around the kidneys, he/she may better understand you. FUN FACT! – When you render suet down you get tallow which you can use as a fat or you can use it to make candles, soap and even body butters. The process we use for cooking the suet is simple. We just cut up as much as we want to eat into smallish chunks and fry them up. You don’t want to cut them too small as what happens is the suet starts to render so that if you fry for long enough, you will have nothing left but liquid fat. So you need to keep the pieces a decent size so that they fry up and crisp a little but don’t render down too much. Of course, you can also pour the rendered (liquid portion) of the suet over your steak for added fat. Another thing we eat to get more fat is fatty mince which here in Australia we call ‘beef mince’ or ‘minced meat’. In the US you call it ground beef. We turn it into into beef patties and fry them up. These days however, it can be a challenge getting mince that is fatty enough. Have you ever taken a look at the ground up beef you find in regular supermarket chains? Our local store has a few different grades of their beef mince with star ratings. 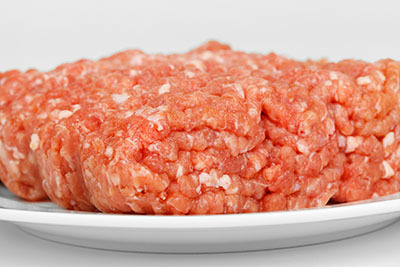 The 3 star mince has 17% fat and is considered their budget meat. It is also the cheapest. The 4 star has 10% fat and the 5 star has 5% fat. This is good news for us since what most people consider to be budget beef and dangerous for their health, we get to eat in abundance since it is a lot cheaper. Even so, we tend not to eat supermarket beef mince, only because we have an awesome butcher who sources grass fed beef that comes from ethically raised cattle. And they will make up a budget mince that has an amazing 30% to 40% fat on the spot for us!! Who doesn’t like bacon!? I love it and particularly like the American style bacon that is thinner and crisps up beautifully. Australian (British) style bacon is thicker and cut from the loin whereas American style is cut from the pork belly and is fattier. So I will always go with the American style wherever possible. Unfortunately American style bacon is not as easy to find in Australia although we are starting to see it in our local supermarkets more often. Fortunately again, our butcher smokes their own bacon and makes a beautiful American style bacon.